A Cold War is purely an intelligence war. If you go on a Ukrainian geopolitical bender in front of a former KGB chief like Russian President Vladimir Putin without having a firm grasp of the opposition's mind-set, you risk launching yourself into a wall like some kind of drunken frat bro on a Slip 'n Slide. Here are a few handy tips for understanding the Russian intelligence modus operandi and how it differs from America's. HUMINT vs. OSINT: Russia has higher standards and capacity for espionage and intelligence operations than the West, placing a greater value on reliable human intelligence (HUMINT) than on the collection and analysis of information derived from open sources (OSINT). In other words, the Russians don't believe that sitting around Googling things all day is the epitome of intelligence work. They want information "procured by undercover agents and secret informants in defiance of the laws of the foreign country in which they operate," as one former Soviet intelligence insider put it. Unlike the U.S., Russia and its key ally, China, consider every expat to be a human intelligence asset (or "cutout," as they're called in the business). Granted, open-source information can be useful in the hands of an exceptional operational analyst who has the experience, knowledge and top-tier contacts needed to reliably connect disparate points not previously connected, but this describes an overlapping of CIA operational and analytical roles that doesn't exist in the real world. To wit, a former CIA senior official told the Los Angeles Times last year that the agency's $3 billion program for these kinds of non-official cover (NOC) intelligence officers was a "colossal flop," citing "inexperience, bureaucratic hurdles, lack of language skills and other problems." Permanent Networks Over Ad-Hoc Networks: Regardless of whether the focus is on peacetime political intelligence or the military intelligence that takes center stage when conflict breaks out, the Russian source network is the same, and every citizen or expat is a potential asset. By contrast, in times of conflict and unrest, the U.S. is largely dependent on covertly funded ad-hoc surges -- groups conspicuous by their very presence, with specific missions to disrupt or subvert opposition activities, or to provide mission-specific local intelligence. Much has been made of the U.S. being blindsided by Russia's movements onto Russian military bases in Crimea in the fallout from the coup d'état in Kiev, and how the West's lack of intelligence in the Crimea region must have resulted from a failure to pick up chatter from official communication channels. Hardly. More like a colossal failure to put down the techie toys and physically infiltrate key Russian networks in the region. Long-Term vs. Short-Term Economic Warfare: America is busy playing economic-sanction footsie, even to the point of shooting its own footsies by sanctioning Dmitry Rogozin, a Russian official directly involved in the Pentagon's own space program. U.S. officials developed geographic tunnel vision as soon as the Ukrainian conflict started, while Putin remains focused on long-term economic allegiances outside of the conflict zone to solidify foreign trade. U.S. ally Japan is planning an underwater gas pipeline with Russia as a key part of its post-Fukushima energy strategy. An International Atomic Energy Agency report identifies Japan-Russia cooperation as a framework for greater economic integration on matters like East Asian energy security and even the interconnection of infrastructure such as pipelines and power grids. The IAEA projects that China's natural gas demand will increase five-fold by 2035, and that Russia's fossil fuel exports to China will increase from 2 percent of Russia's total fuel exports to 20 percent by 2035, while fuel exports to Europe will drop from 61 percent of Russia's total to 48 percent. Meanwhile, Russia's co-financing of infrastructure projects across Africa facilitates access to (and control over) the African natural-resource market and a possible future competitor. Iranian and Russian officials met In Tehran last week to discuss energy and infrastructure deals. Kick in Russia's front door, and it has a dozen back exits from which to choose. Exploiting Current Weaknesses over Creating New Messaging: Not long ago, the Obama administration was promoting the now-infamous "Russian reset," and Obama was caught telling Russian Prime Minister and Putin sidekick Dmitri Medvedev that he'd have more flexibility to negotiate on missile defense after his re-election. Now, Obama is attempting to convince the world that Russia is the bad guy in Ukraine. Try explaining that to a generation of Millennials who have only ever known bad guys with backpack bombs. Russian spin, meanwhile, has focused on exploiting public distrust of Obama specifically and of the U.S. government more generally, leveraging examples of perceived American screw-ups. Now that's the kind of spin that everyone from grandma to unemployed grandkid can appreciate, regardless of who's saying it. Unless the U.S. gets a better understanding of its opponent, this particular intelligence war could have a much different result than the last one between the American and Russian spheres. 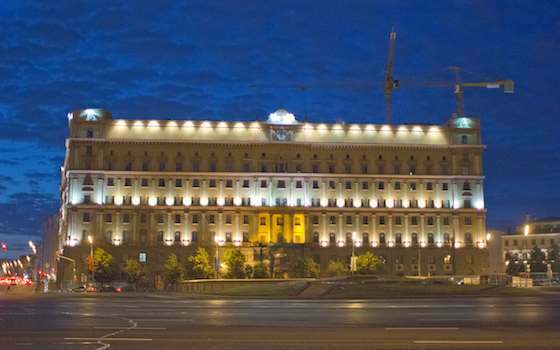 "How the Russian Intelligence Mind-Set Differs From America's"